One of the three NDLEA officers ambushed and shot dead in Okene Kogi state last Friday is set for burial. 41-year-old Ebun Peters will be committed to mother earth tomorrow Monday the 16th of October 2017. 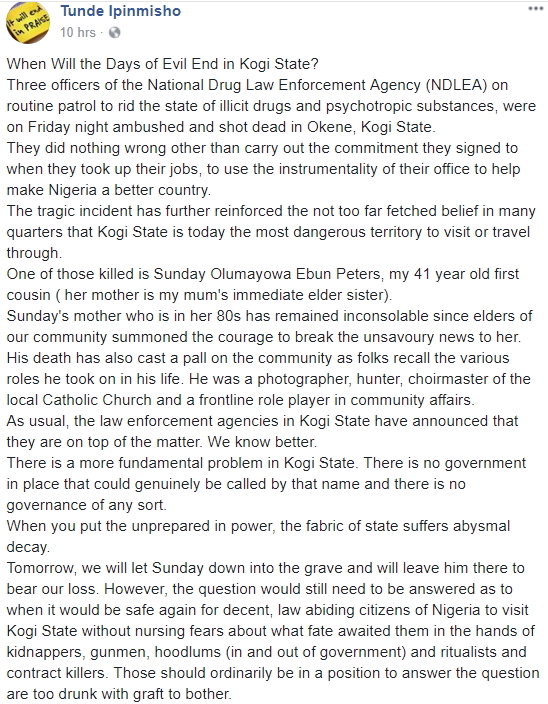 Here is what a relative of the deceased officer wrote on Facebook today while lamenting the alarming state of insecurity in the state.